Today I’ve returned home to find this clematis blooming like crazy. It was a good welcome. When we left, there were lots of buds and I’m glad I didn’t miss the full blooms. Flowers, like so many things in life are fleeting and to capture this moment is amazing. I left a wonderful writers retreat to come home to just that: home. Where laundry and dishes call out quietly, and sometimes loudly. Where there is always something else to do and solitude is a moment stolen here and there. Though the time away was wonderful the crash of real life can burst the magic of retreat. It is during retreat that we rediscover ourselves and perhaps make a plan for our lives. It is where we can find the quiet that lies within ourselves. It is where we can recharge for the next step in our lives. It is easy to forget and the magic begins to disappear the moment the car turns home. 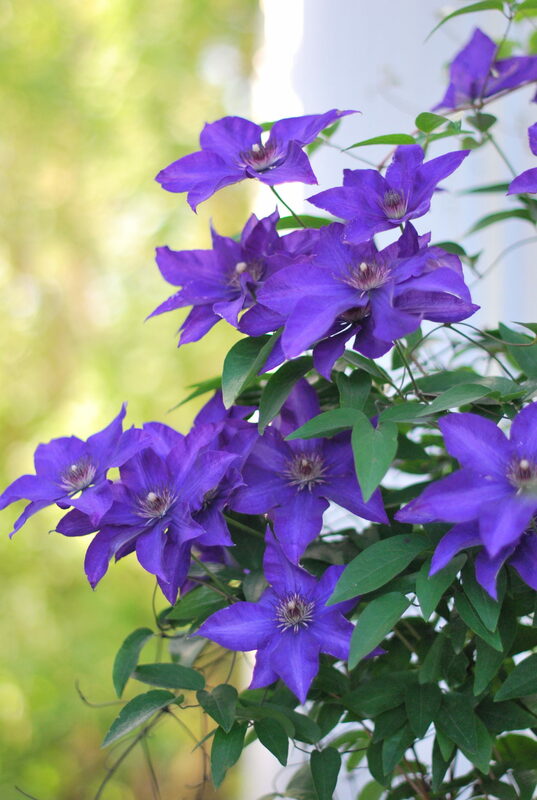 So, thank you to my fully blooming clematis in my favorite color and my african violet for reminding me that while going away is good to recharge, it is also good to come home. Home to a comfortable bed and clean clothes. Home to normal life. 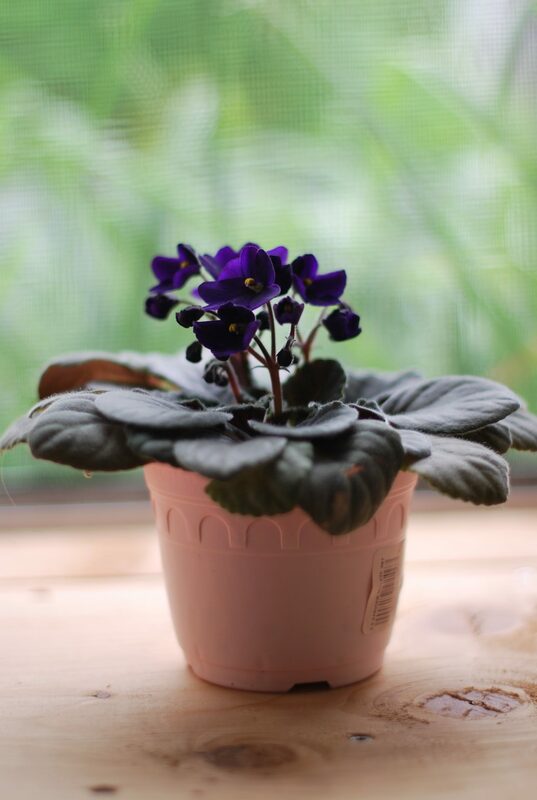 Home to bills, chores and fully blooming flowers.